Time here at the Olympics is like no other time I experience. The days run together and I usually have no idea whether it is a Monday or a Saturday. I was trying to remember when I photographed the women's weightlifting. I think it was about 4 days ago, but don't quote me on that. Anyways...I did photograph them, and since I was running a little behind on the blog posts, and heading to the men's weightlifting yesterday, I thought I would combine the two events. And...as it turns out, I learned some lessons from the first visit to the weightlifting competition that I was able to use to my advantage on the subsequent visit. For the women's competition, I started off in the front photographer's location. It was great because I could photograph the athletes right in front of the Olympic Rings. This is really important here, since it tells the story of where they are. I was really disappointed at the equestrian venue, when I saw that there were almost no Olympic logos anywhere. But more an that when that blog gets written. The only problem with shooting wide at the head-on position, is that the judges head was visible in every photo. Trying to avoid the distraction in the photos, I decided to zoom in a little more and not have to deal with his hed. You may recall, that before I came here to Rio, I mentioned on the blog that I was contemplating multi exposure shots for weightlifting. Well...I gave it a shot against the bright green wall and that did not work out. The reason is, the background is brighter than the subject. Oh well...I gave it a try (but I figured out a work around for the men's competition). Many of the weightlifters will come out and give a scream before they lift. The crowd loves it. This is Lidia Valentin, from Spain. ...and then unbeknownst to me, she did her trademark heart symbol. It was so out of character for these uber serious lifters that the crowd went wild. And the camera and I loved it too. This is Rim Jong-sim who is a North Korean lifter. She made this look way too easy. After shooting from the head-on position for a while, I was getting bored with the same old shots. It was one weightlifter after another, with similar lifts and background. The change things up, I moved to a position on the lifter's right. In this venue, photographers are allowed to sit in any spectator seat that is unoccupied. So I did that from a spot where I had a nice angle on my subjects. This is Ubaldina Valoyes Cuesta, from Columbia. There were a lot of people from her country there to cheer her on. After she failed her last attempt at lifting, she was out of the competition. But she made this heartfelt thank you to everyone that was cheering for her. This woman failed to lift and lost the bar in the process. Then it was back to Lidia, who once again showed a lot of emotion. She is a photographer's best friend. At this very moment, Lidia clapped her hands together and all the powder went flying. I quickly fired off a couple of frames. Then, just before leaving the stage area, and knowing that she had likely put herself in medal contention, she turned my way and gave one more happy scream. This is Darya Naumava, from Belarus, who also secured a medal with this lift. It was Rim Jong-sim who earned the gold medal. As she stood on the stand and listened to her National Anthem, she broke down in tears. Us photographers love tears of joy, and I could hear lots of shutters going off around me as this moment unfolded. Here are the three medalist. And now we are on to yesterday's (yes - I remember that this was yesterday) competition with the men. Once again, I started from the head-on position, mostly to see if these guys would give a lot more expressions than the women. As you can see here, there were some good facial expressions. But just like before, I got tired of taking the same images of guys lifting from the front. And, like a couple days before, I moved to a spot to the athletes right. I liked this angle, but after many shots, I once again felt like I needed to push myself more. Heck, if these guys can push themselves this hard, why can't I? Right? After reviewing the photos from the women's competition, I realized that the side position, against the black background, would be the perfect place for more multi exposure shots. So I set the Canon 1D X Mark II for this mode and tried it out. I should also mention that I had the Canon 200-400mm lens on my Gitzo monopod to try and keep from moving during the different exposures. Without the monopod, it would have been almost impossible to hold the camera at the same spot for this long. A tripod would have been even better, but they are not allowed in any venues. Unlike the multi exposure photos I took at fencing and table tennis, I did not have the camera in a fast burst mode. Instead, I waited and hit the shutter release at key moments during their lift. That worked! For all of these shots, I set the camera to combine 3 photos into one. I would shoot one image at the start of the lift, one in the middle, and then one when they were at the height of their lift. This guy failed his attempt, but I caught his reaction instead. After a while, I set the camera to capture 4 images at a time. After looking at the photos on LCD of my camera, I decided that combining 3 images was probably better. A little less hectic. The one above and below are my two favorites. I like the combination of exposures and the reaction from both men at the end of the lift. At this point, I have now tried the multi exposure mode at 3 different events and shown them in 3 posts. For me, I love that it brings more interest to what would otherwise just be another weightlifting shot. But I am sitting here in the main press center, writing this, and wondering if you are loving this or sick of it. Give me your thoughts. And also, remember that you and your friends can enter your email address at the top right of this blog to get an email any time I write a new blog post or send my monthly newsletter. 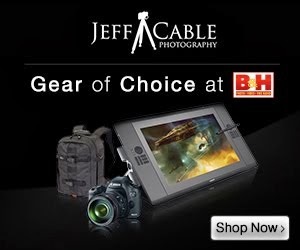 If you are interested in purchasing any camera equipment, please click here to go to B&H Photo, as I get a referral from them if you enter this way. It does not change the cost to you in any way, but it helps me keep this blog up and running. Jeff, I agree with you. I prefer your side angle shots with 3 sequences. The fourth is becoming a little to distracting. Appreciate all your blogs from the Olympic's and describing your approaches. You provide a lot of behind the scenes that most take for granted. I don't usually watch much of the olympics but I really enjoy following along through your eyes! Keep the multi exposure shots coming! The side view is much better! The 4th shot is very distracting. Very interesting take on sports action, and gives you a lot of options. At least it is keeping you entertained and active! Jeff - absolutely love the multi-exposure shots. You have given me something to try the next time out there. I also think a 3 shot frame is nicer, bit cleaner and gives more clarity while still sharing the motion and action within the moment. Love all the blogs, still haven't timed up to catch you on a live stream bus ride! Keep the multi exposure shots coming. There a fresh change to all the "normal" shots photogs get at the Olympics. Good job!! Love the multi shots. Really interesting that you set the number of shots you want combined and then take the individual shots when you want. Not automatic. Gives you great control over the result. And interesting that bright backgrounds will overwhelm the foreground. Wonder what the camera is doing as it combines the photos. Jeff,I'm for sure enjoying the multi exposure shots and now you have me thinking about good situations to try it in. I'll be curious to see if you can get any M/E shots of some of the cycling events. Perhaps BMX at night?? The photo shoot is really great. Olympic boxing - Trying something different!